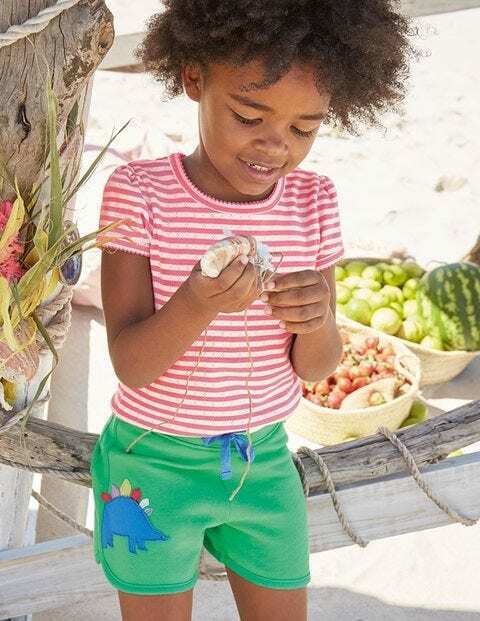 Made from soft brushback fabric, these shorts are sporty with a fun twist. They're perfect for clambering around the adventure playground, and for lazy days in the garden. The appliqué design makes them a little bit special, but if your day takes a turn for the messy they can still be bunged in the washing machine.